This Sunday we are pleased to have one of the founding members of Redeeming Grace Fellowship, Joshua Hebert, bring to us the preaching of the Word for our worship service. 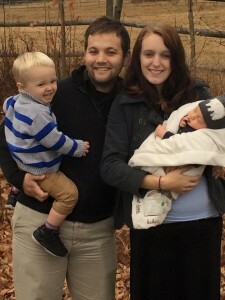 Joshua is a husband and a father of two boys, home-school graduate and Calvary Chapel Bible College graduate. He has served overseas as a missionary in Morocco and Okinawa, Japan and Mainland Japan. Service starts at 10am, fellowship meal to follow, then from 2-3 we will be at the South Portland Nursing Home to minister to the residents.